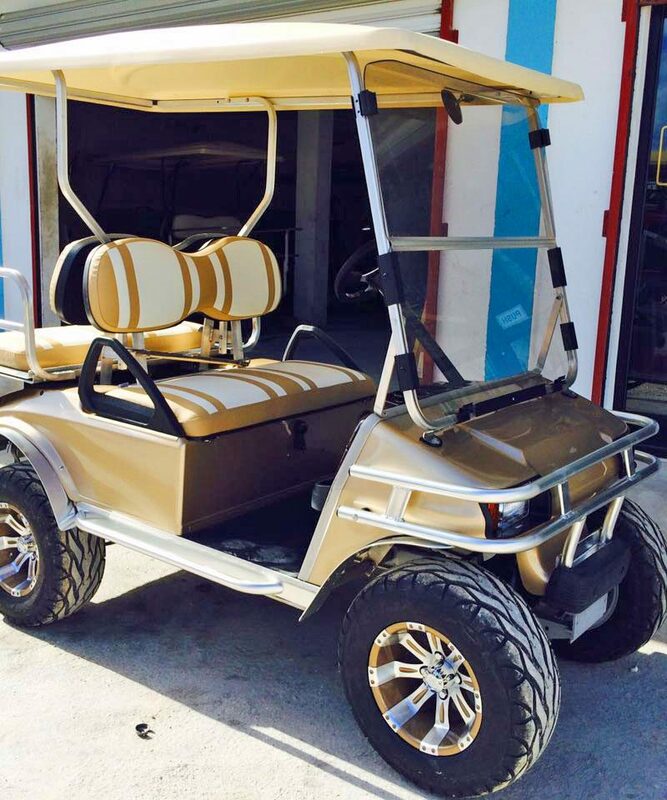 Below are examples of Used Club Car Golf Carts that we have customized to our clients personal taste. We do not have these in stock. 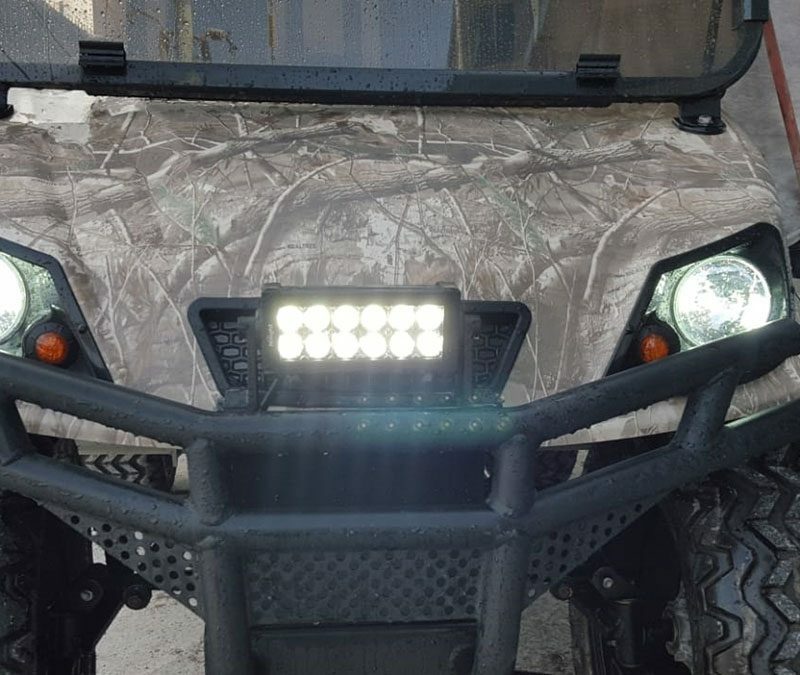 We can design one specifically for you. 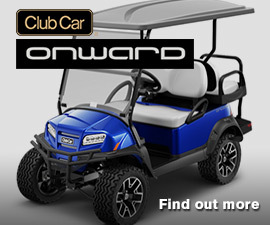 We have several Club Car models to choose from. 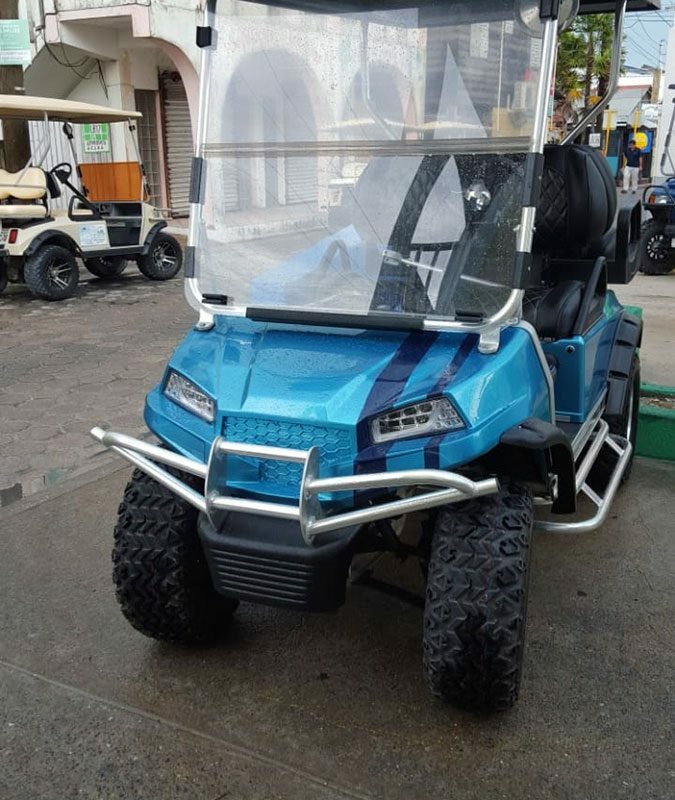 Whether you are looking for a Personal Transportation Vehicle or a golf cart for business use, we can accommodate you none the less. 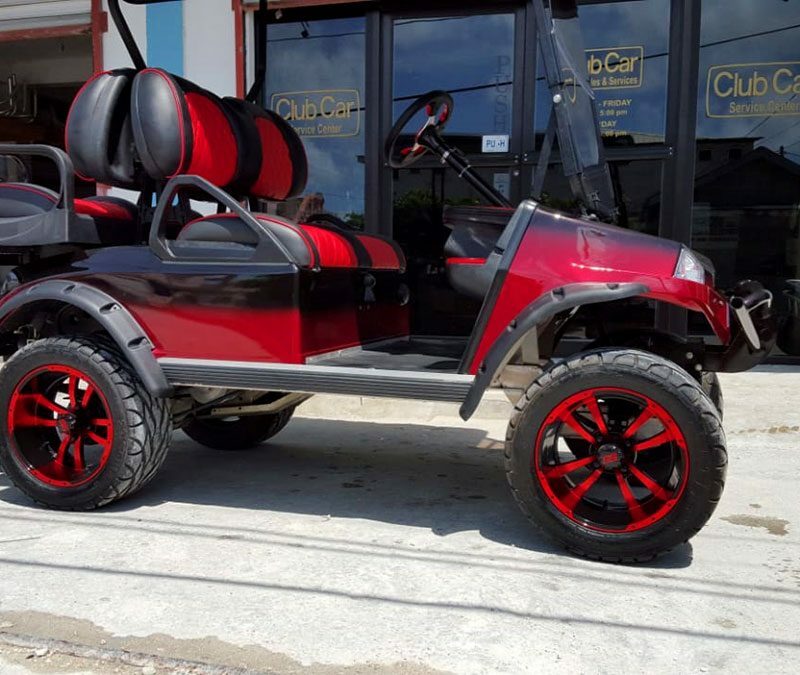 We also can customize your golf cart to your specific needs. 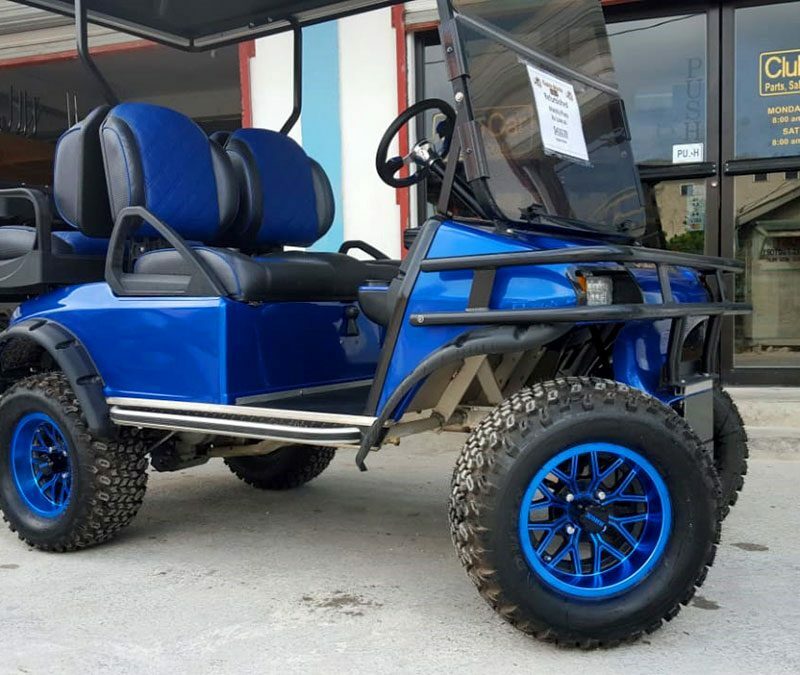 If you are interested in selling your golf cart, please, let us know! 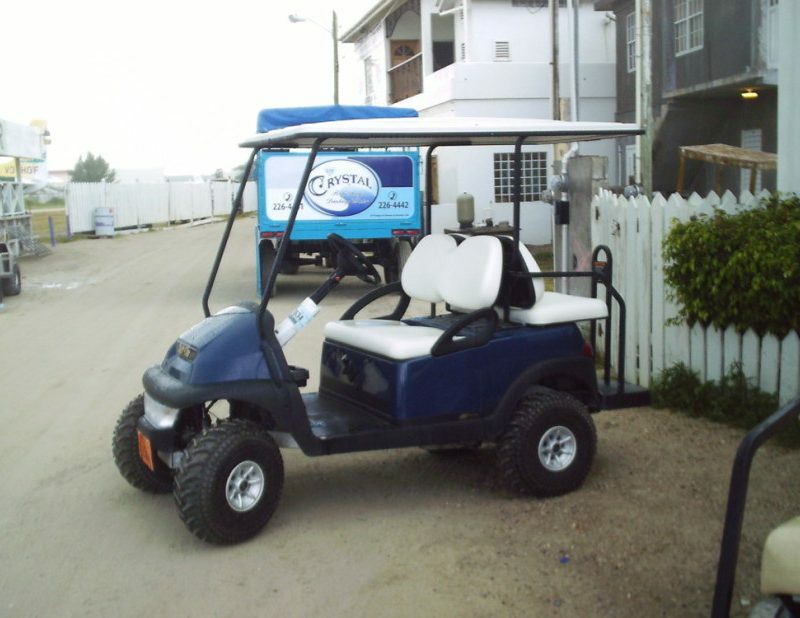 We can help in easing the process by putting your golf cart in our online inventory. 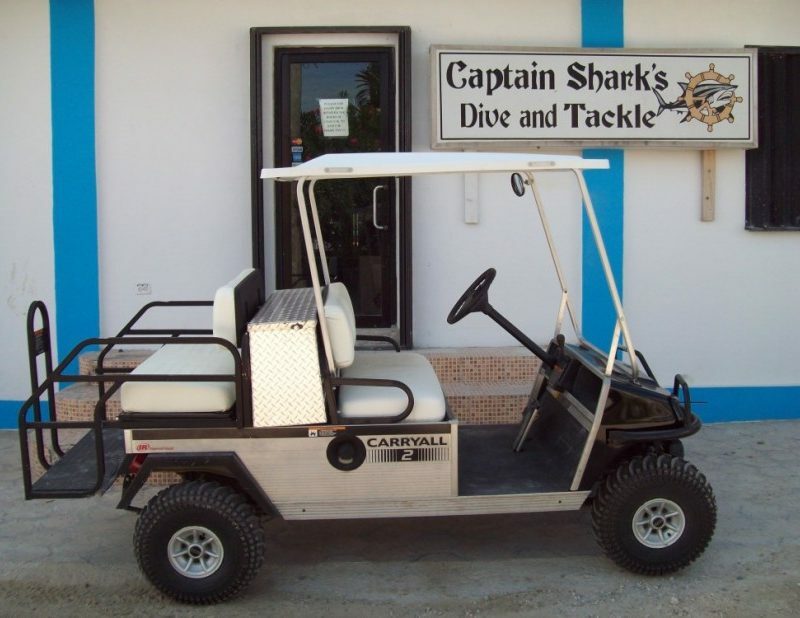 Send us an email, call us or visit us at our office opposite Maya Island Air, next to the airstrip. 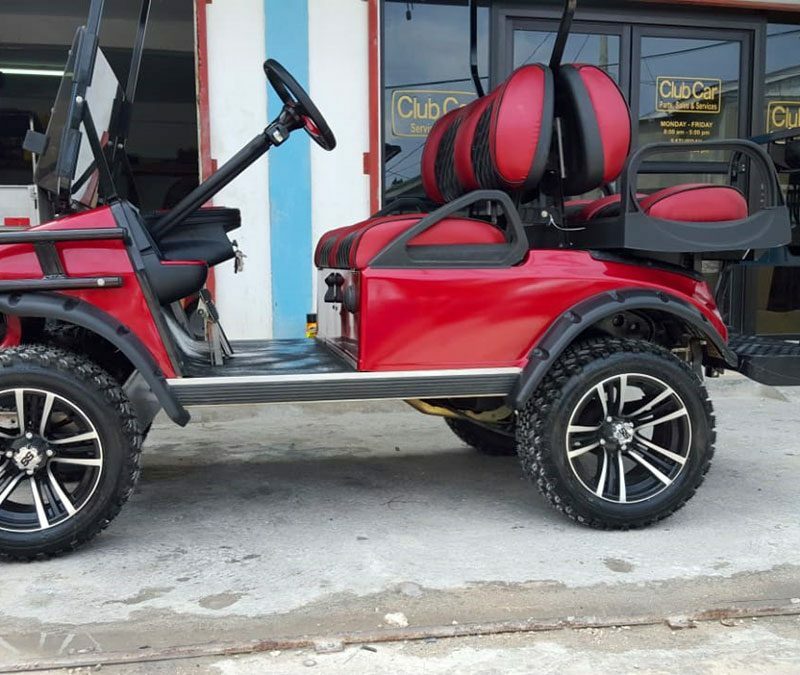 Please use this information if you are interested in buying or selling a Club Car Golf Cart.